REDUCED!! !LOCATION, LOCATION, LOCATION! 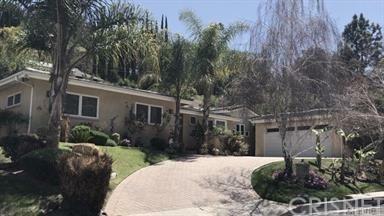 South of the Blvd - This great home is located in prime Encino south of Ventuta Blvd. The exterior has great curb appeal. Front landscape is beautifully manicured. Please see private remarks for additional information. Sold by Houtan Hormozian BRE#00822192 of Crestico Realty. Listing provided courtesy of Phil Boroda DRE#00822192 of Coldwell Banker and Rosa Pardue CA DRE# 01788168 of Coldwell Banker.